consumption tax (8%) and onsen tax of 100 yen will be charged separately. * For a party of three in Western-style room, one of the beds would be the sofa bed. * Japanese-style room (with toilet and no bathroom), the price will be 500 yen less. * Bathing after check-out is 300 yen per person. 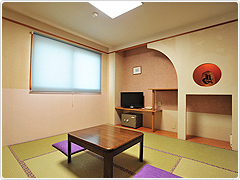 * Special room is priced at 2,000 yen more than a 2-person, Western-style room. 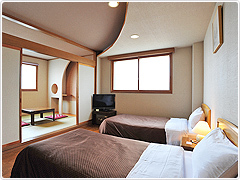 * Single use of a room is priced at the rate for 2 persons plus 3,000 yen. * Please inquire for the use of Japanese-style room with 4 adults. Rate for children between 6 and 12 is 80% of Adults' rate during period 1 and 2. Rate is reduced by 1,000 yen during period 3 and 4. Rate for children between 3 and 6 and if no meals or beddings are required it is 2,000 yen per child. Infants (0-2 years old) are free of charge. For the use of one room with two persons, the rate for two adults (over 12) is applied. Japanese meal is provided on December 31. Mix of Japanese and Western-style meals may be served from time to time. Dinner and breakfast cannot be made to order. We apologize for the inconvenience. Breakfast will be either Japanese or Western style. Please use the form for booking through the website. Inquires may be made through phone 0261-83-2332, FAX 0261-83-2213, or via e-mail. Bookings up to December 10 will only be available through email. Only cash is accepted for the payment. Please beware that there is no ATM in Tsugaike. We also accept payment via wire transfer. Please inquire. Credit cards are accepted. We apologize for the inconvenience. Parking is available free of charge between check-in and check-out (15:00 to 10:00). During busy period such as New Years, holidays, and weekends, when the parking lot is full, guests may be asked to use Tsugaike Parking Lot (free, 3 minutes on foot). Please note that for parking spaces are narrow. The room will not be cleaned on the after the second night as the amenities are set for two days. Room cleaning and changing of amenities will be done on the third night. Specially discounted tickets are available for the guests of Bellheart and Kogenso. It is sold at the front desk of Bellheart. Please feel free to ask. For the price, please refer to "Lift Ticket Discount Price" below. Comfortable lodging. Meals are optional (see right) and available at Bellheart (1 minute walk). 0 minutes to Kane-no-naru-oka Ski Slope, and 3 minutes to the gondola station. 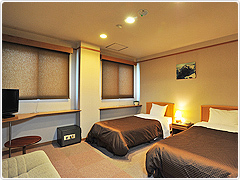 ※Single use of a room is priced at the rate for 2 persons plus 2,000 yen. Please contact us, if there are any changes, even if it is not the cancellation. Change in the number of guests or cancellation will incur the following charges.